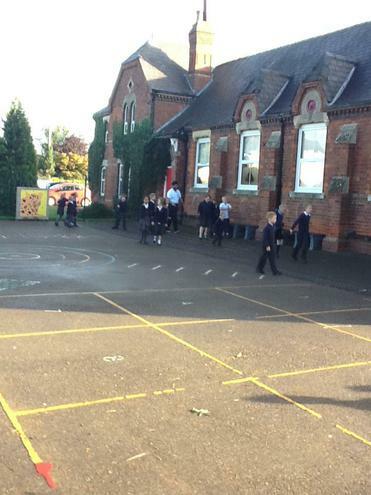 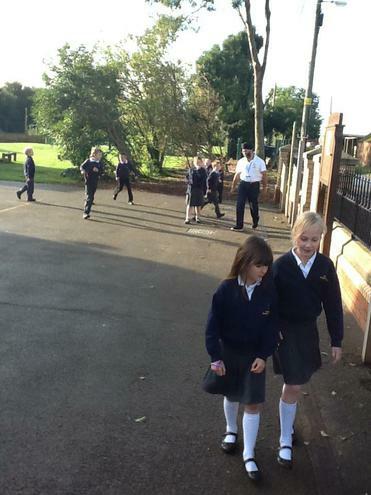 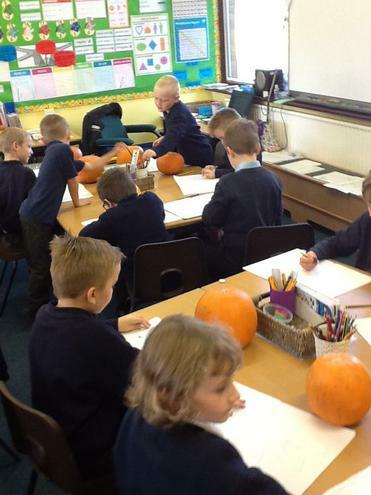 This term Chestnut Class have "Countries Around the World" as their topic. 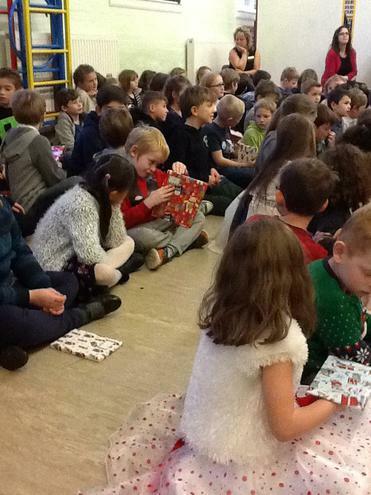 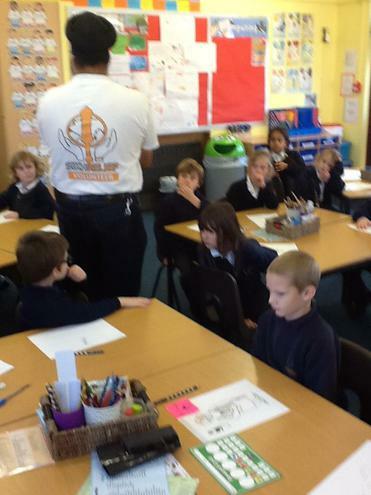 The class will get weekly Spanish, Music and R.E. 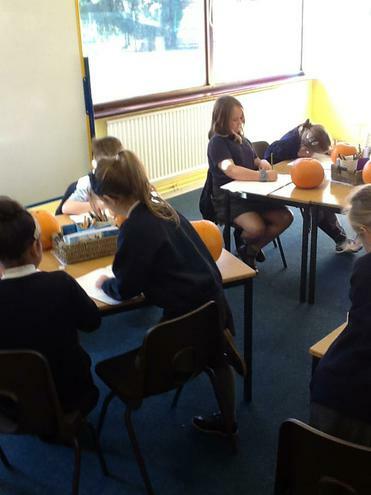 lessons as well as their afternoon topic work and English and Maths in a morning.This should make it an interesting and exciting first term! 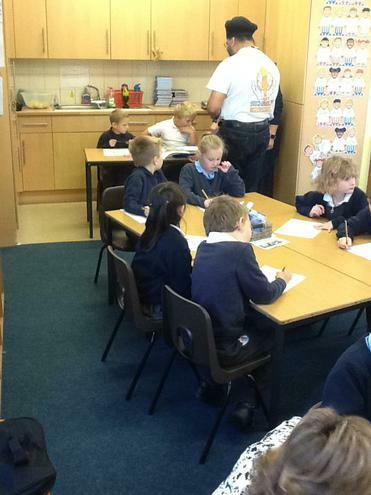 The children are going to be finding out about Ancient Egypt through their History and Geography work. 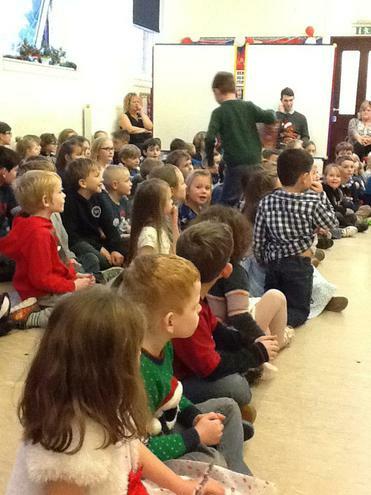 This is going to be very exciting! 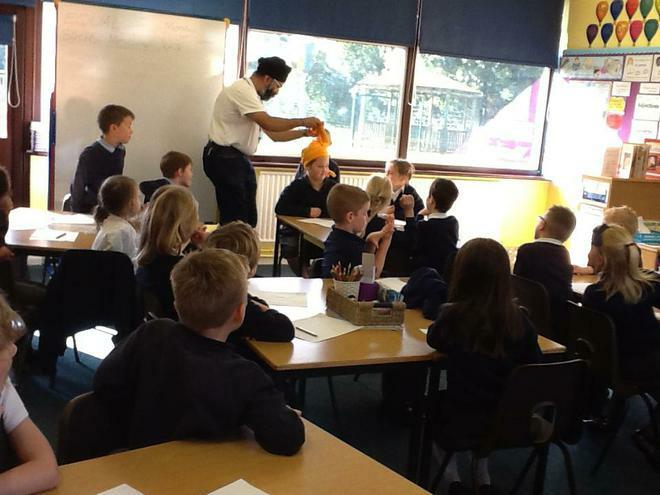 The children will have the opportunity to find out what happened to Tutankhamun and make some pyramids. 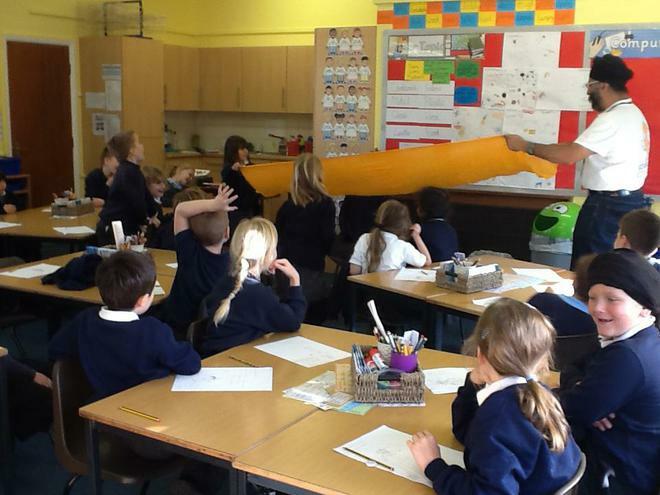 They are going to look at "Materials and their Uses" in Science - which should enable them to decide on the best material to build their own pyramids! 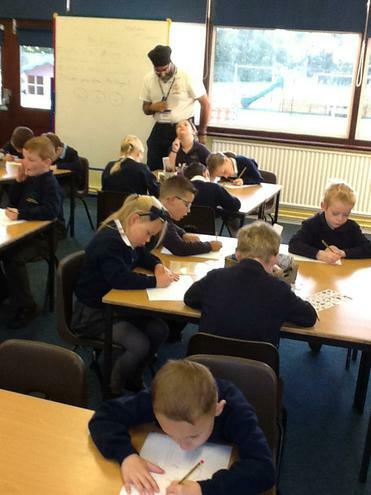 I am very excited to start this year with Chestnut Class and I am looking forward to our learning with across the curriculum! 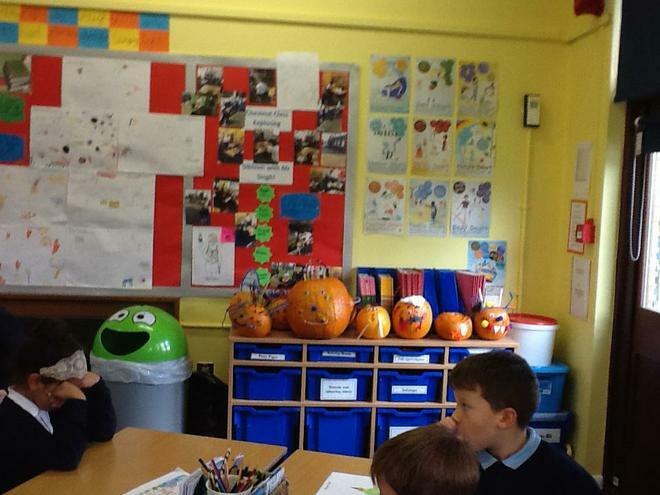 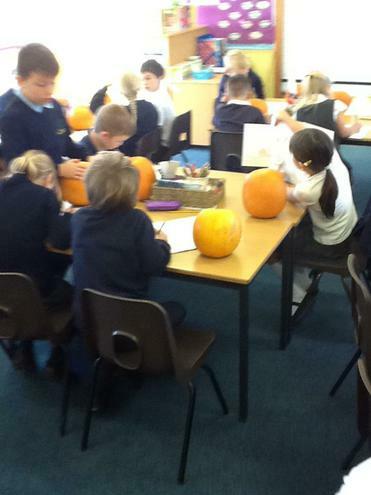 Today Chestnut have been designing and decorating pumpkins. 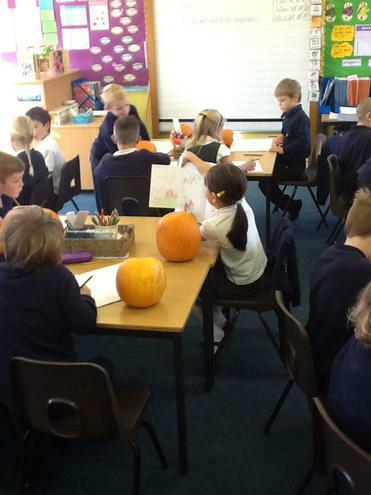 They have come up with some very interesting ideas and designs. 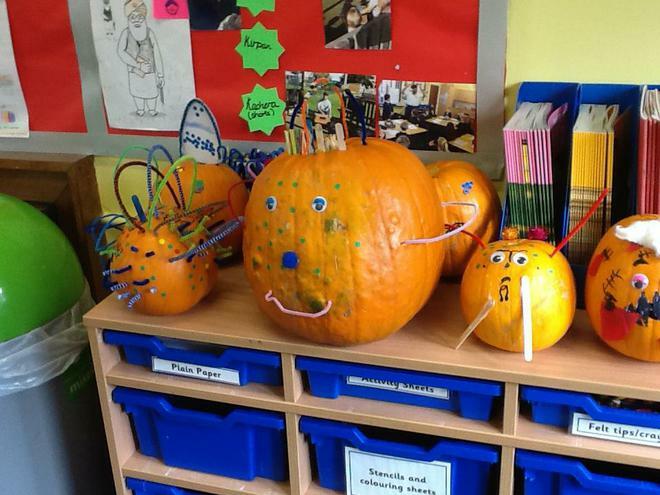 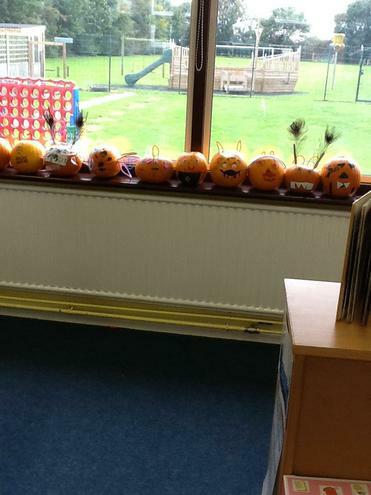 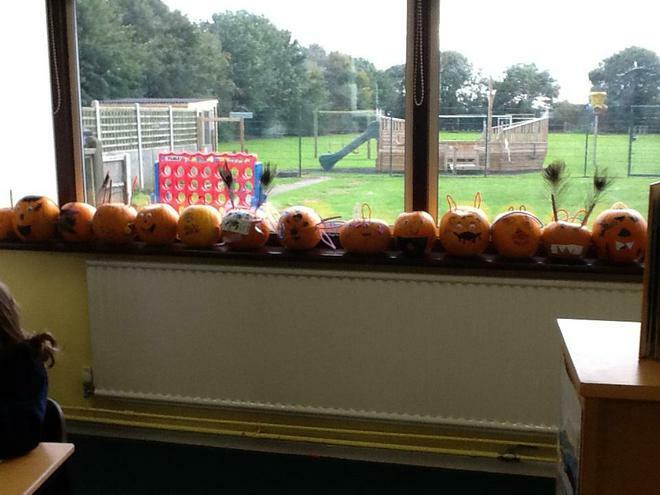 These are the finished pumpkins that Chestnut Class made. 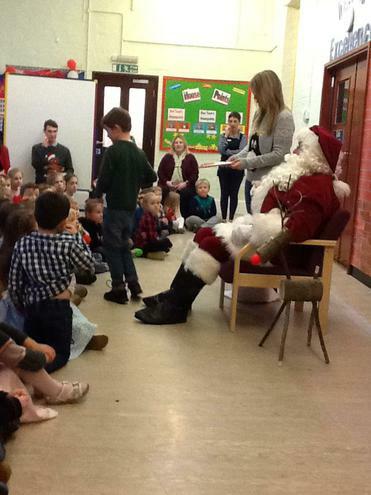 It was a very exciting day. 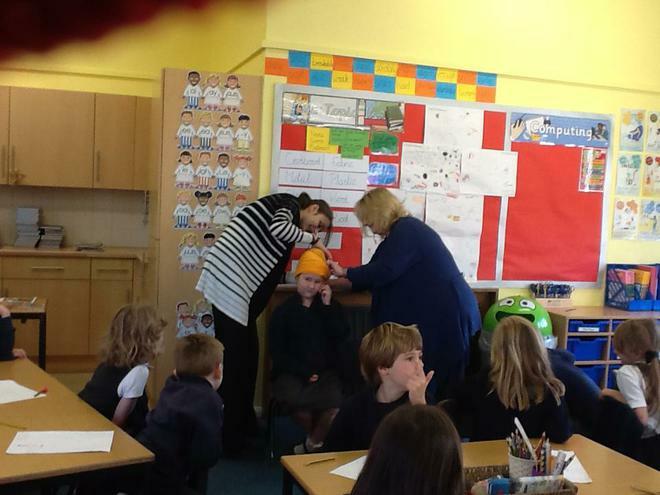 We also celebrated 15 years since 'Room on the Broom' was written by Julia Donaldson! 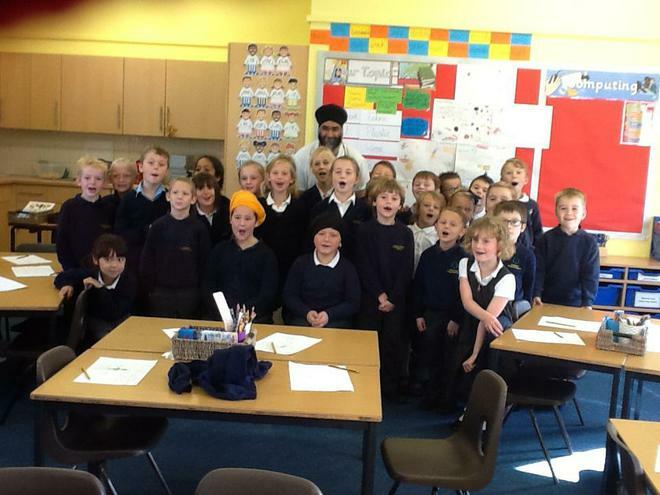 So the class watched a performance of that with Willow. 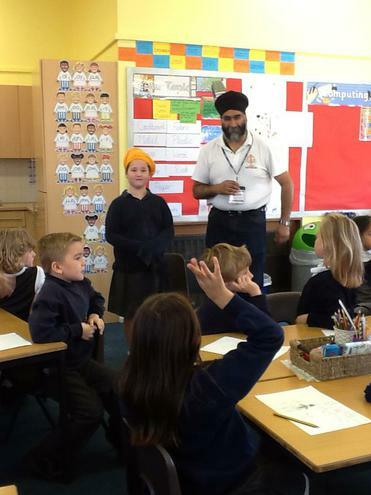 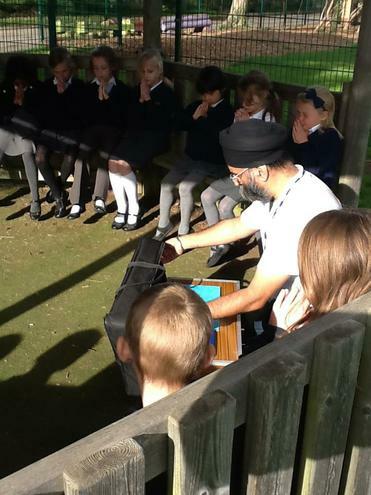 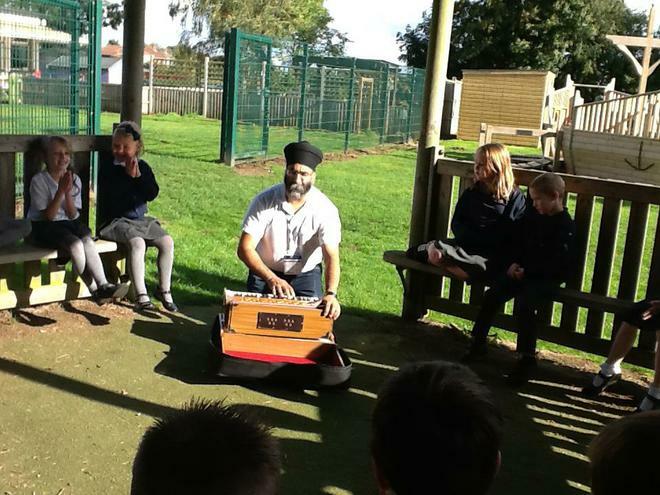 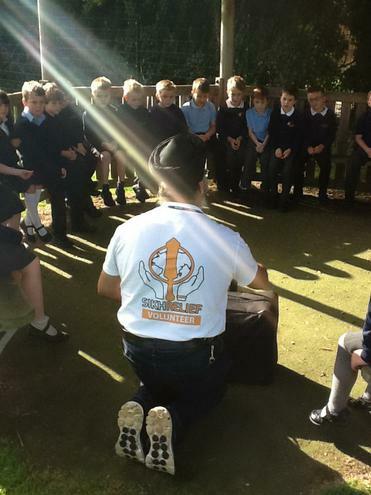 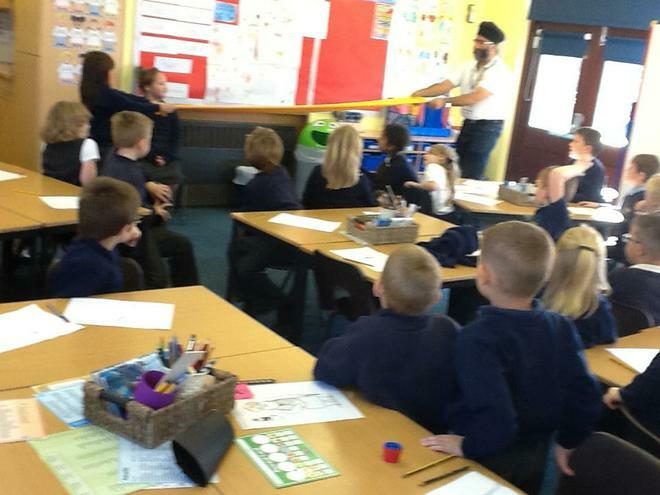 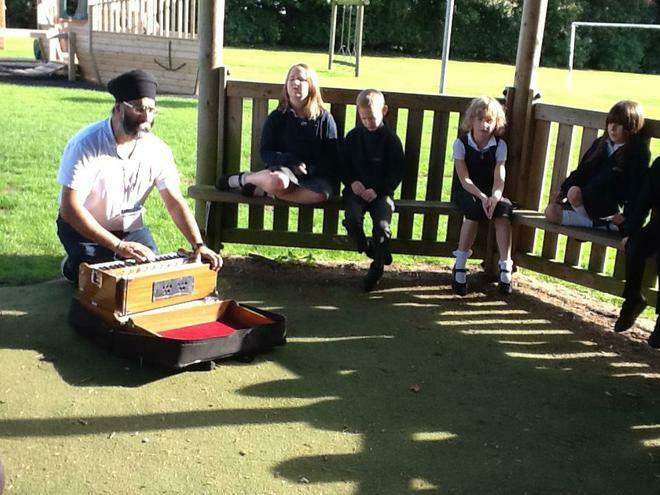 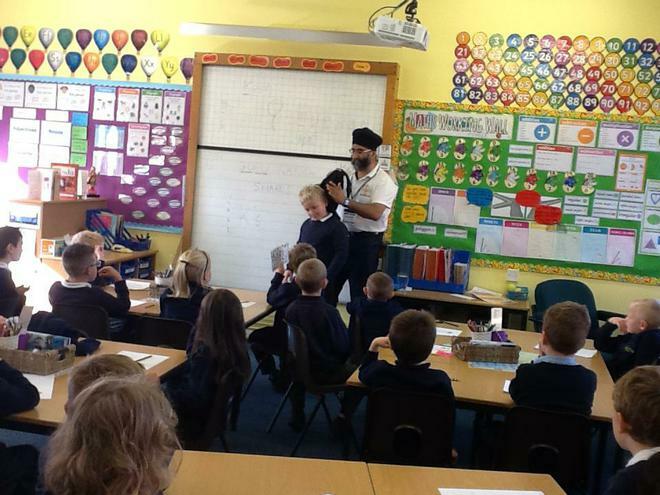 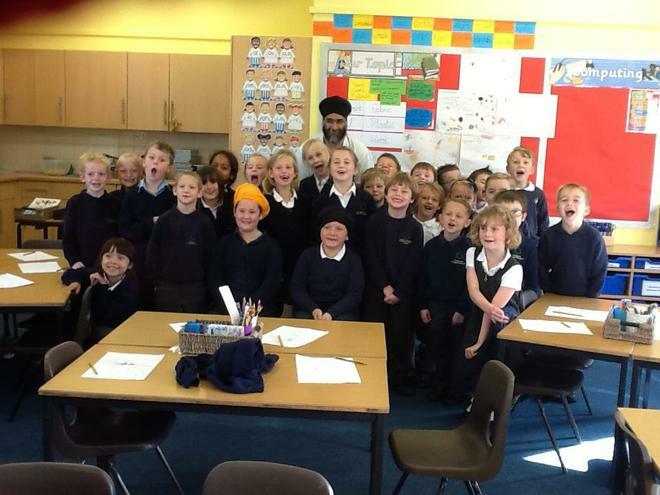 Mr Singh came to Chestnut to teach us about Sikhism to tie into our topic of 'Countries around the World'. 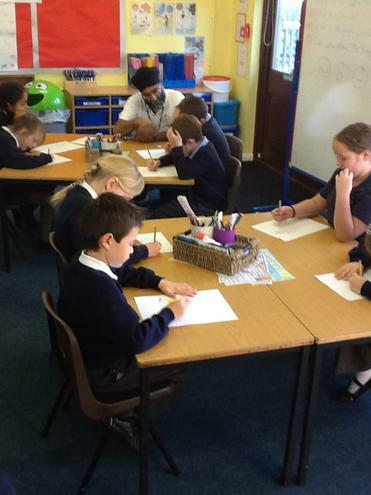 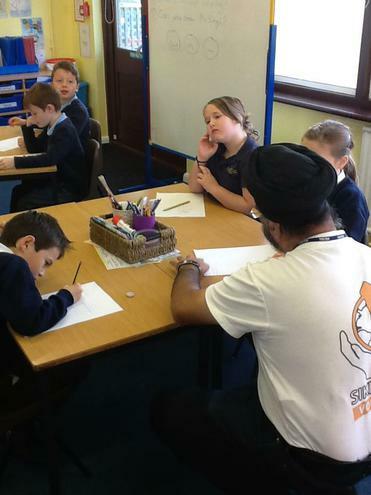 The class were all very engaged when they had to work out what they could about Mr Singh. 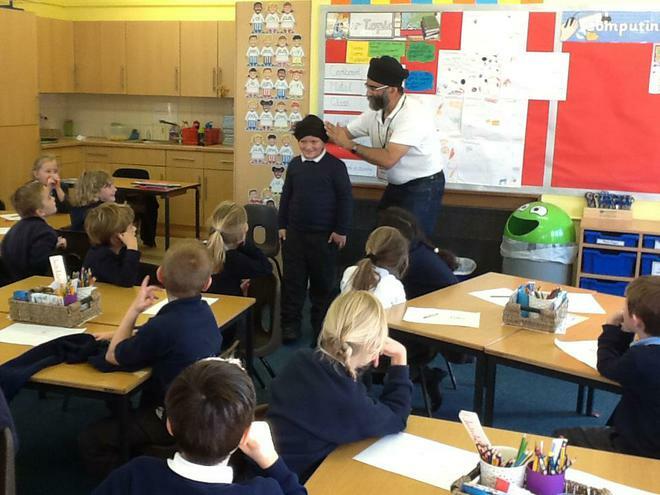 The class found they changed their ideas about Mr Singh throughout the day as they enjoyed learning about a different world culture! 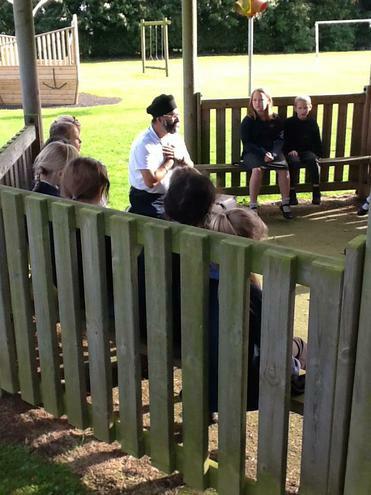 This afternoon Billy Bob Buttons came to visit our school. 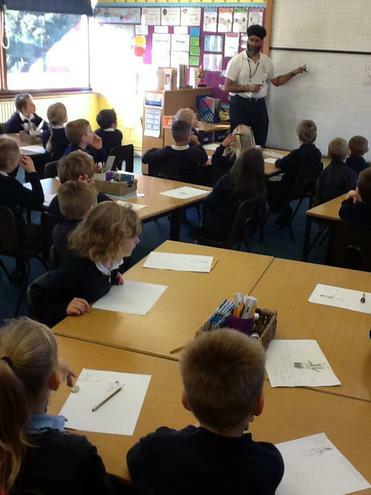 He came into Chestnut and did a writing session which we found very useful and gave us his top three tips when writing a story. 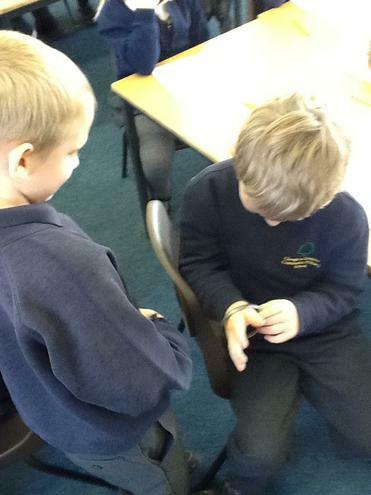 This was very useful and Chestnut will remember them to use in the future! 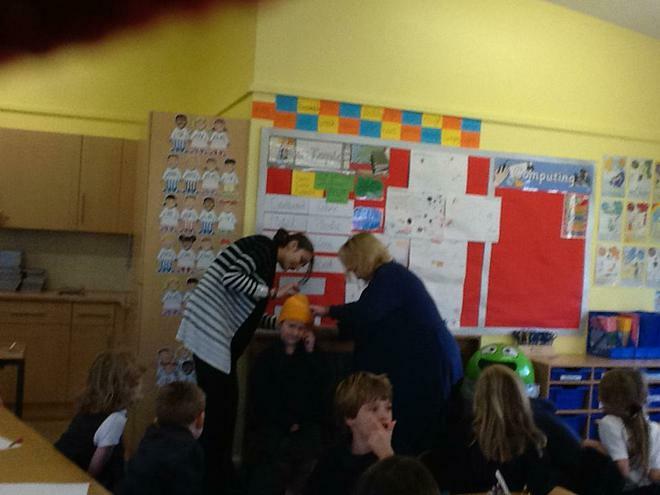 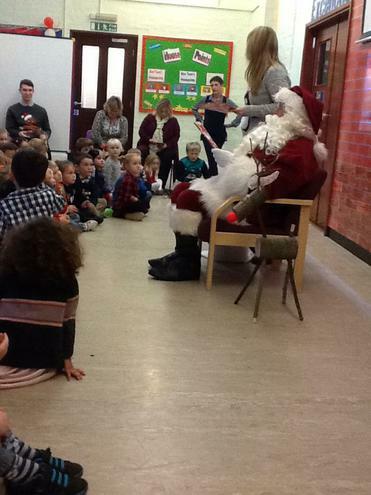 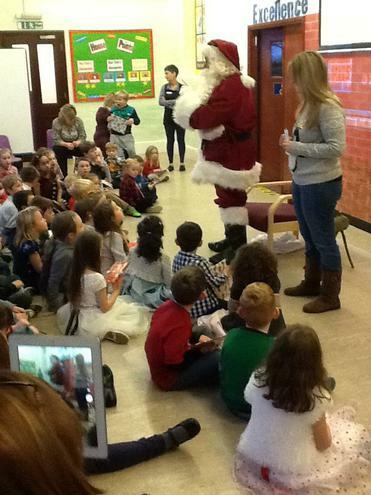 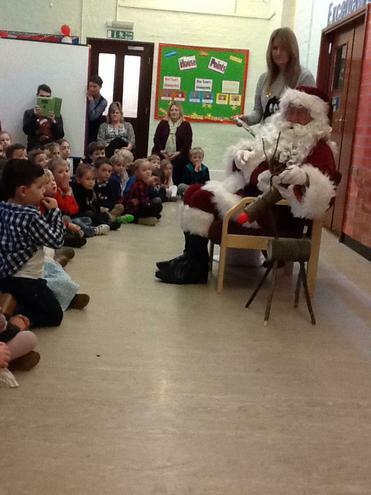 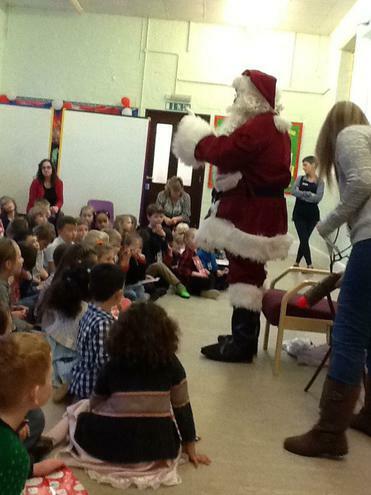 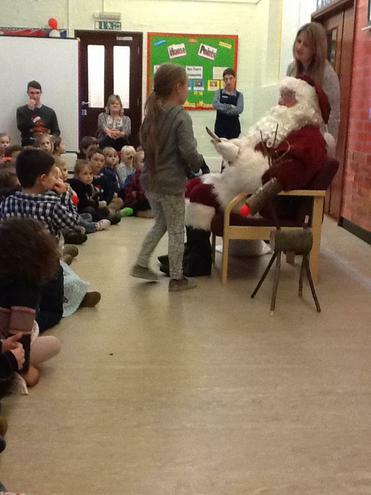 A Visit from.... Billy Bob Buttons!